Two ex LMS Class 502 units in the newly repainted British Rail corporate blue livery depart Seaforth & Litherland Station on a Southport Chapel Street to Liverpool Exchange service. The destination panel prematurely indicates the destination for the return service. The date is August 1968. 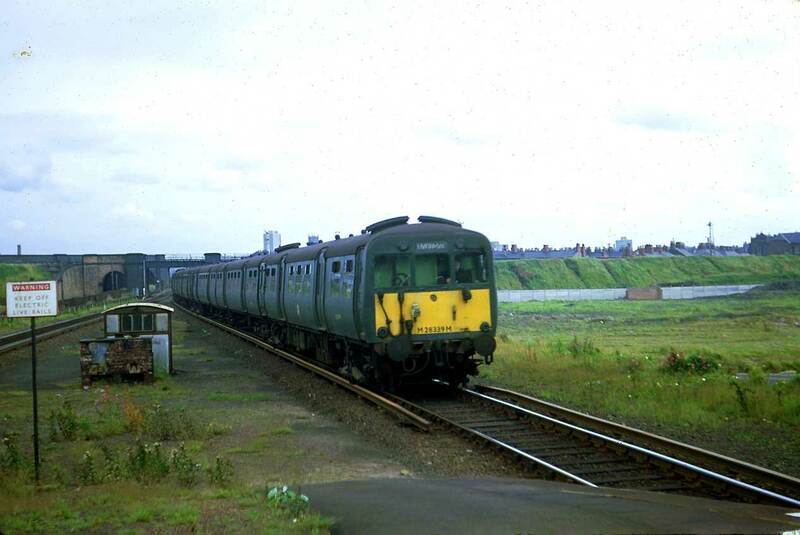 This is also in August 1968 and we are still at Seaforth & Litherland Station. Despite what is stated on the destination panel, another pair of Class 502 units are on a Liverpool Exchange to Southport Chapel Street service. 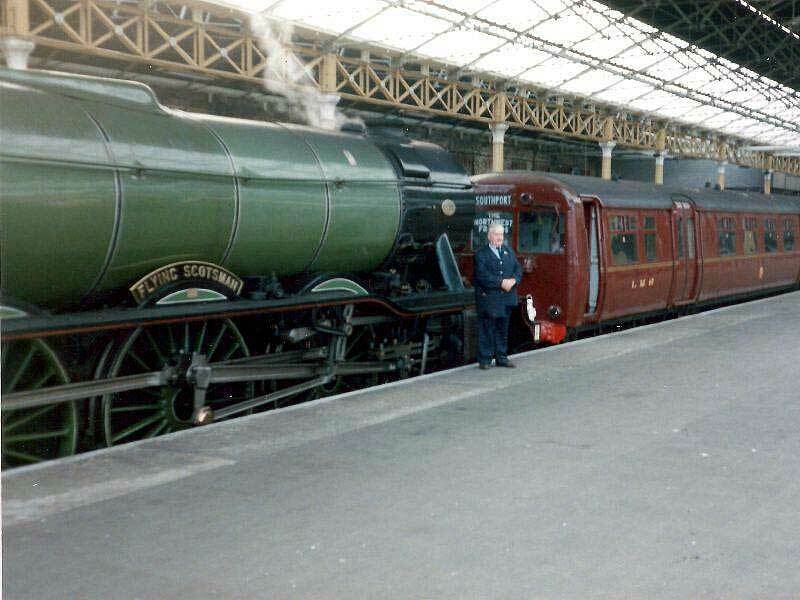 The two units are still in the British Railways green livery of an earlier era. Forward now ten years and we are at the end of electrified trackage at Ormskirk. 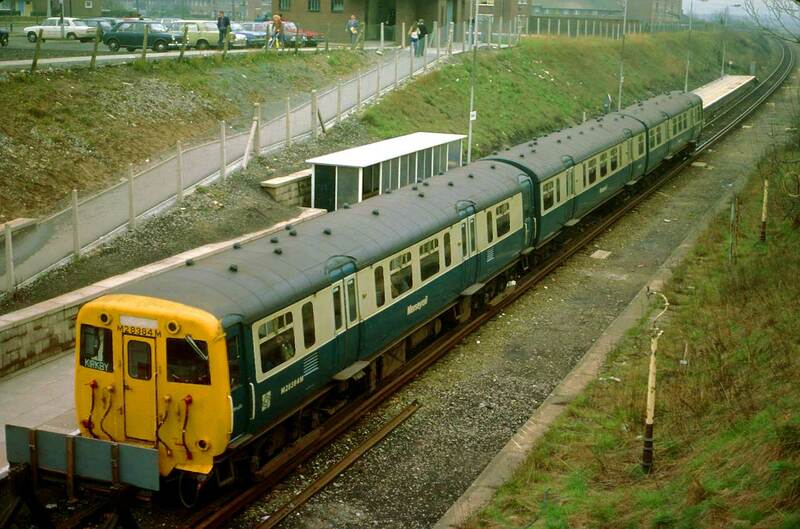 A Class 502 is about to reach the terminus. April 1978. Turn around is fairly prompt and the service is returning to Liverpool. April 1978. 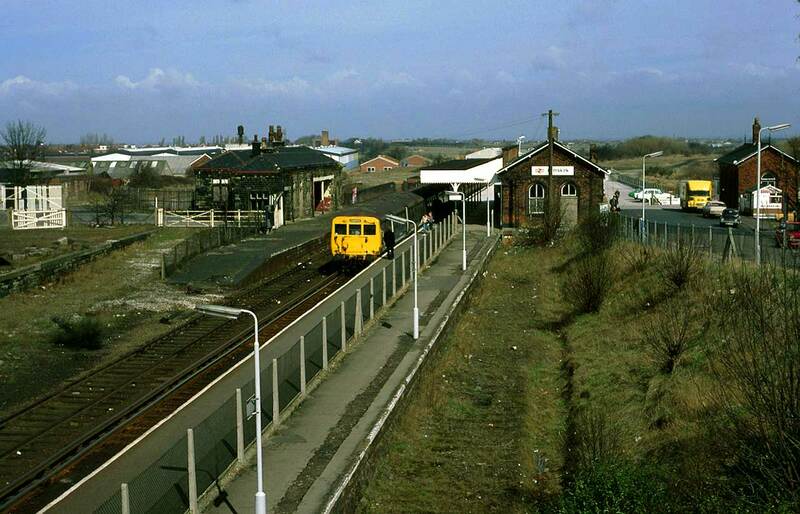 As can be seen by the twin platform configuration, Ormskirk was once a through station but not now in April 1978. 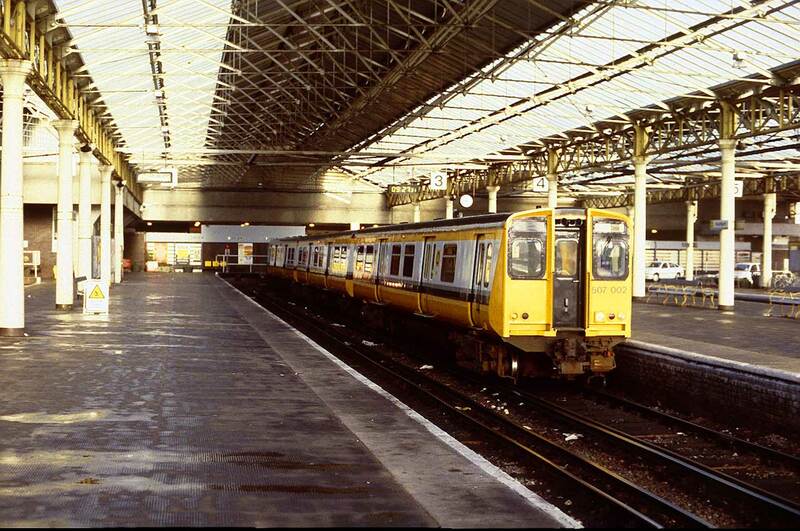 A direct service once operated between Liverpool Exchange and Preston and beyond but now passengers much change on to an infrequent DMU service to Preston. 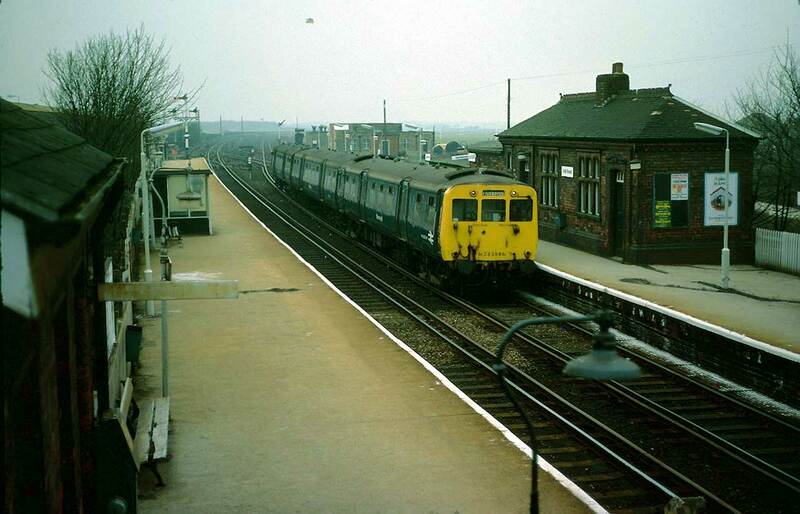 Ormskirk Station in April 1978 and a Class 502 awaits its return to Liverpool. After the demise of through services a bypass line remained for special requirements. 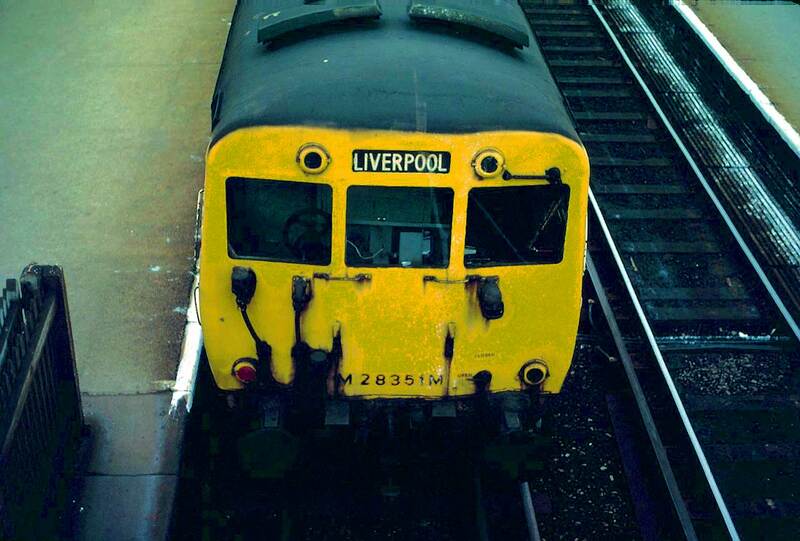 In close up, the Class 502 is ready to return to Liverpool. 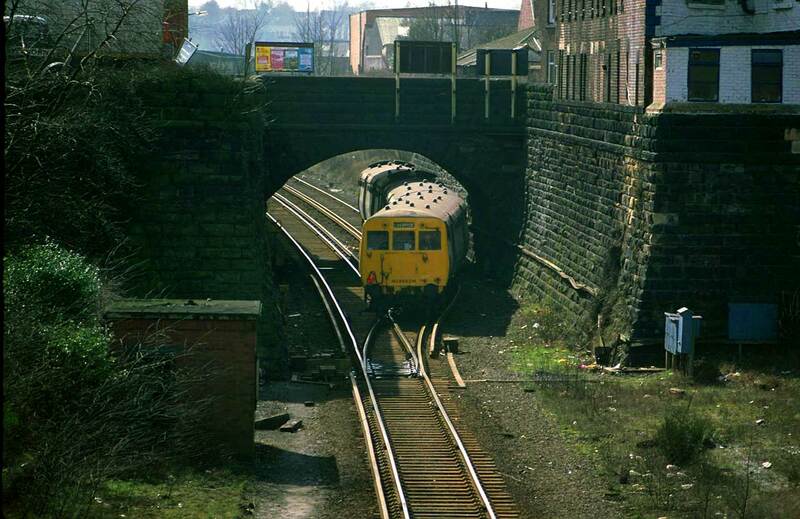 The buffer stops that obstruct a direct service between Liverpool and Preston may be seen in the background. April 1978. 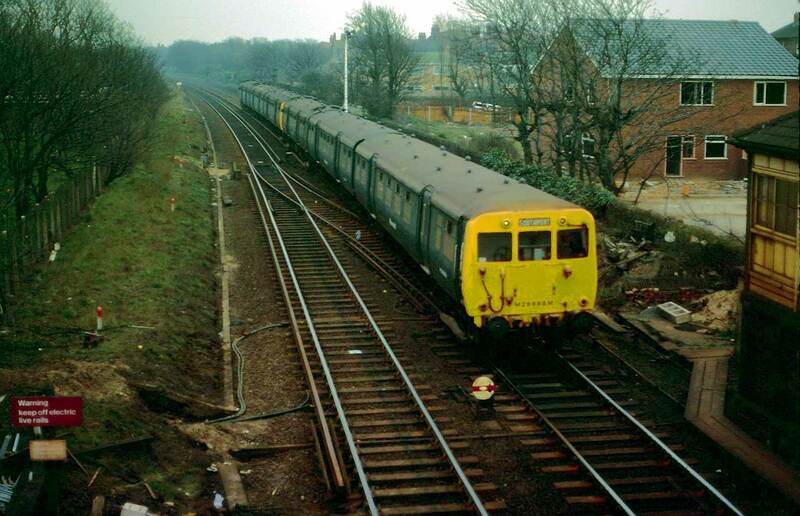 This is Kirkby and a Class 503 pauses at the extremity of third rail electrification. 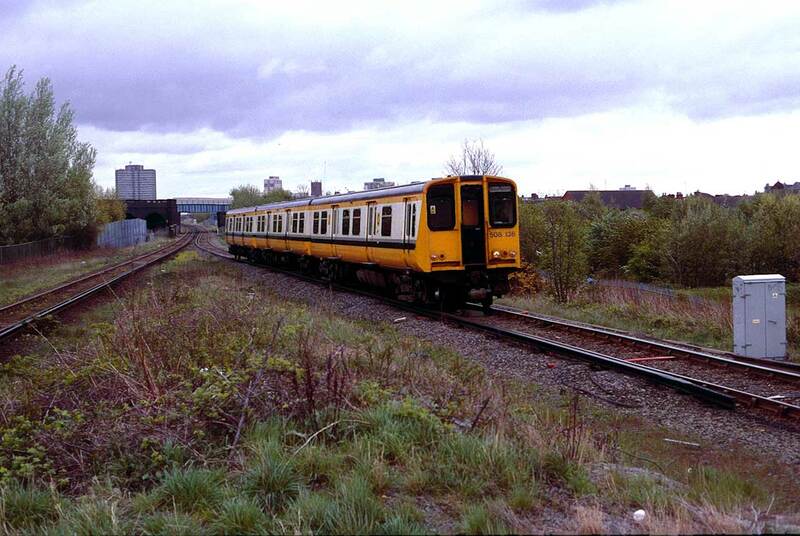 Once again a through service used to exist between Liverpool and Wigan Wallgate but now is no more. Passengers now have to change onto a DMU to continue their journey. This time no bypass line has been provided. April 1978. 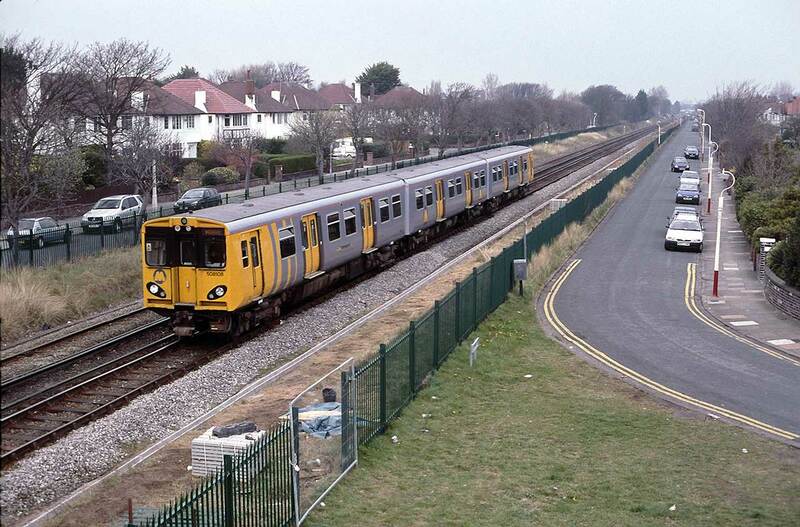 On now to the Southport to Liverpool line and a southbound service approaches Hall Road. The extra trackage here is for access to the maintenance depot. April 1978. A view looking north from the footbridge at Hall Road Station. 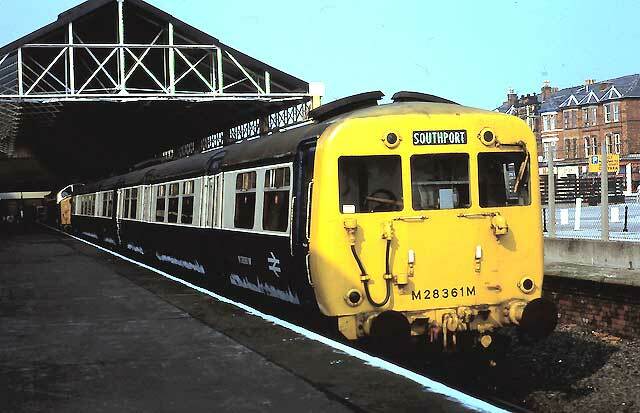 The Class 502 is heading for Southport. April 1978. Still on the footbridge looking north at Hall Road Station, another Class 502 is returning to Liverpool. April 1978. Once again we are still on the footbridge but this time looking south and a pair of Class 502 units approach Hall Road on their journey from Liverpool to Southport. April 1978. Despite the indication, this unit is on course for Southport. April 1978. 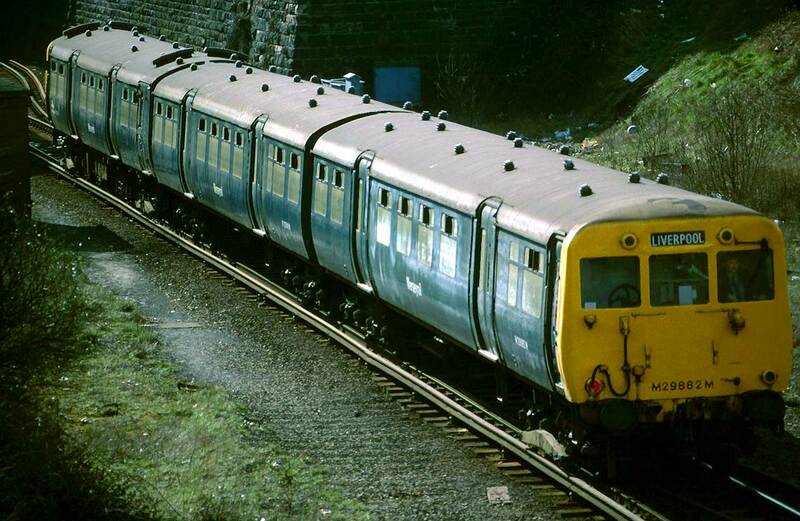 The final colours carried by the Class 502 was blue & grey. 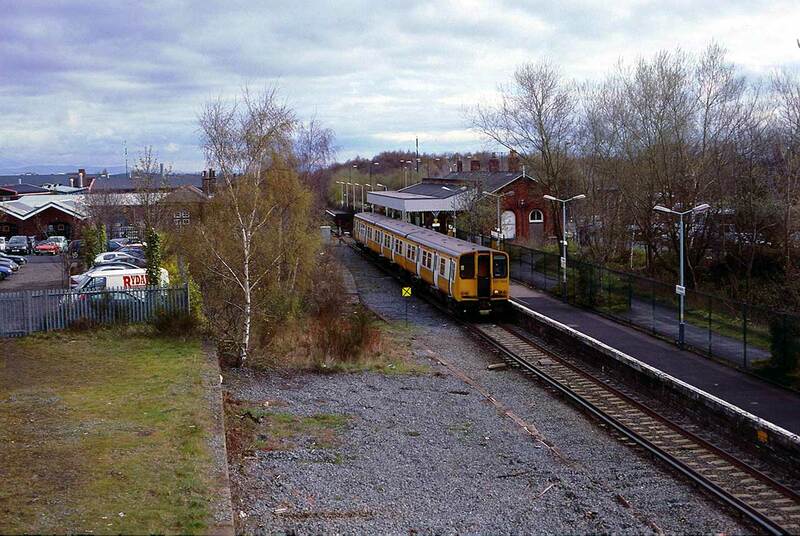 This unit was destined to live on in preservation and is seen here at Southport Chapel Street Station. 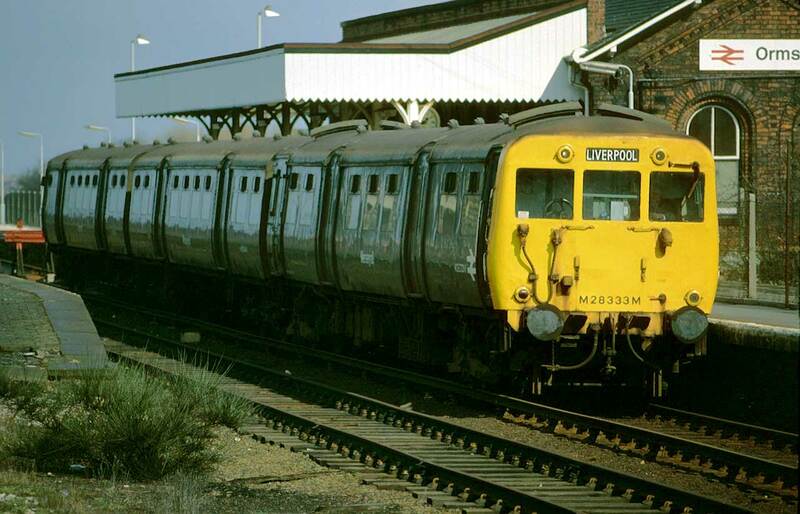 After some forty years of sterling service the final Class 502 was retired from regular service in September 1980. 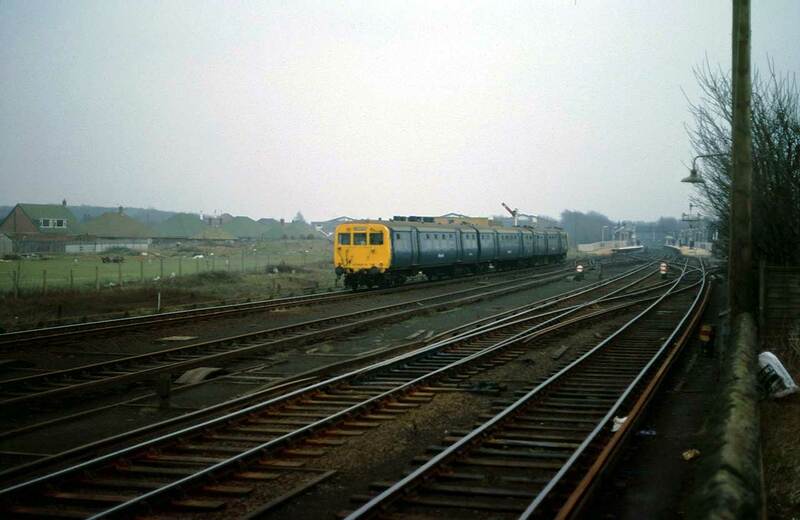 The Class 502 unit was stored at Steamport in Southport. 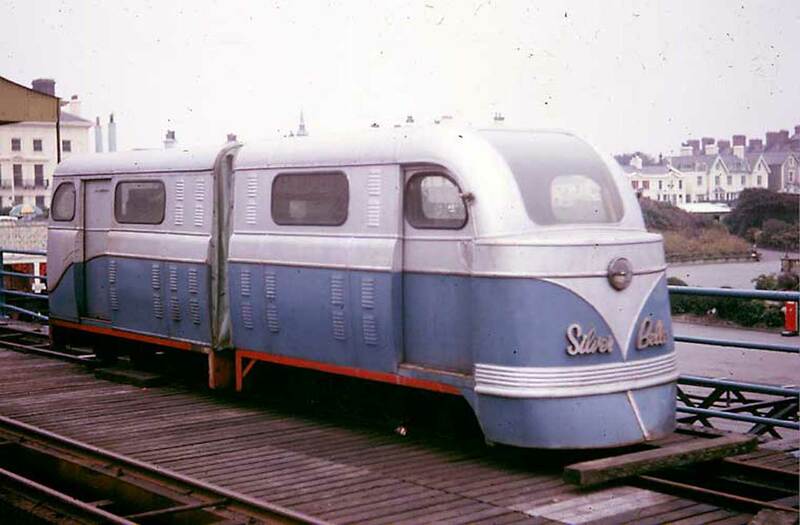 Not being on the electrified network meant that some assistance was required to bring the unit into live rail territory in Southport Chapel Street Station. The unit has been restored to its initial colour scheme of LMS lined maroon. September 1987. The Class 502 unit received a heritage paint job of LMS lined maroon but it seems it has now had the attention of some 'Elf & Softie zealot as it has now acquired full yellow ends, spoiling the aesthetics somewhat. 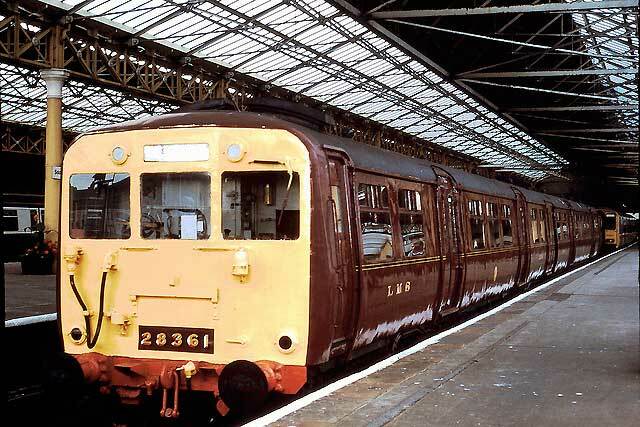 The unit is seen here in Southport Chapel Street Station in September 1987. One two car Class 502 unit has survived. 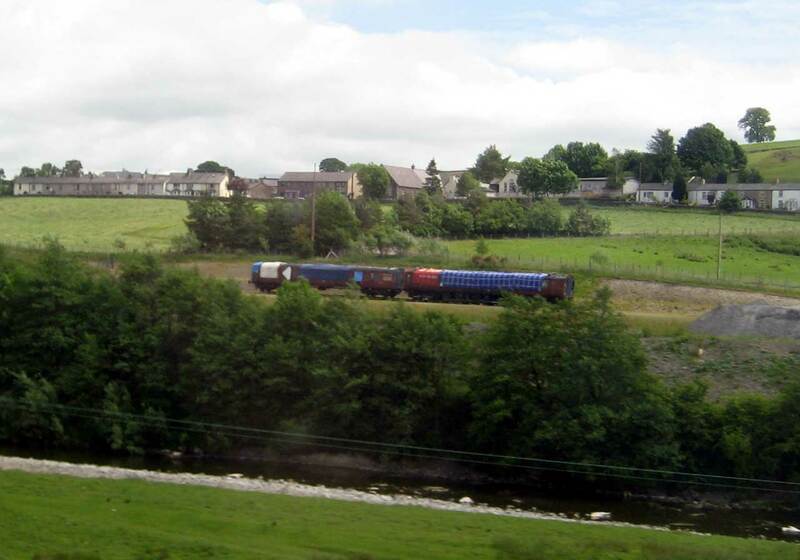 It is seen here, viewed from a northbound train, in temporary storage at Tebay. Being stored in the open in an area not renowned for fine dry weather is less than ideal. June 2010. On now another twenty years from the views at Hall Road and the ex LMS Class 502 and the BR Class 503 units are long gone. 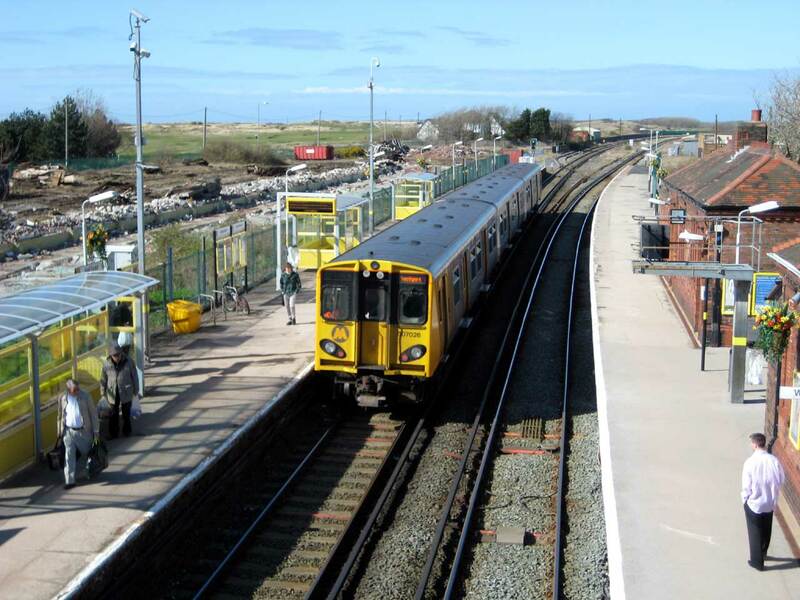 Services on Merseyrail are now being operated by Class 507 and 508 units. This is Southport Station. March 1998. The Classes 507 and 508 are now being refurbished and repainted in a new colour scheme. 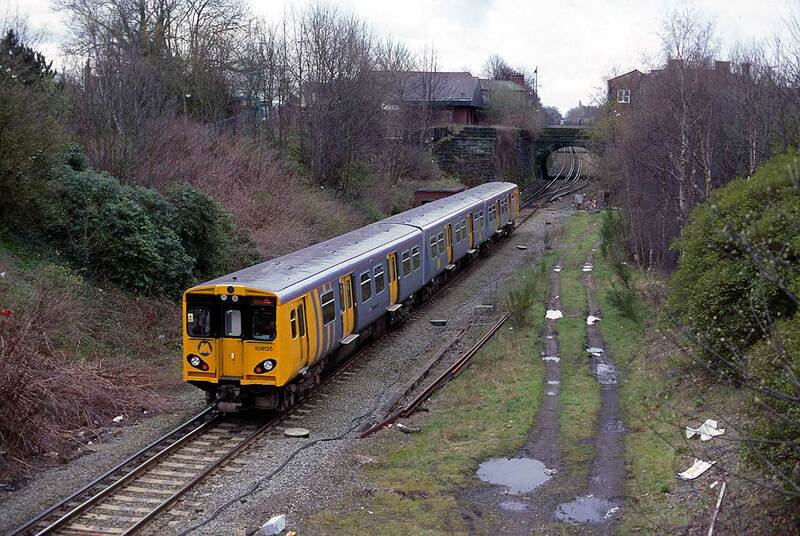 This is a Southport to Hunts Cross service approaching Hillside. Usually when units are refurbished, this means a lowering of the quality of passenger accommodation as experienced with the Strathclyde Class 303 Blue Trains and the 4CEP and 4BEP units on Southern Region. However on Merseyrail, the refurbishment brought a much improved quality of seating to the units. May 2004. On now to Ormskirk and a Liverpool Central service awaits departure. Note that the bypass line has been removed. May 2004. The service has departed Ormskirk for Liverpool Central. 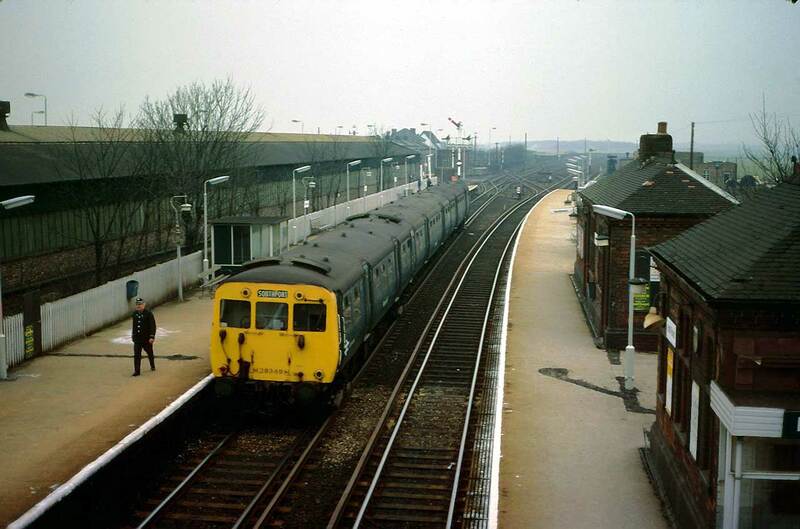 The double track as seen in the background once continued through Ormskirk Station all the way to Preston. May 2004. 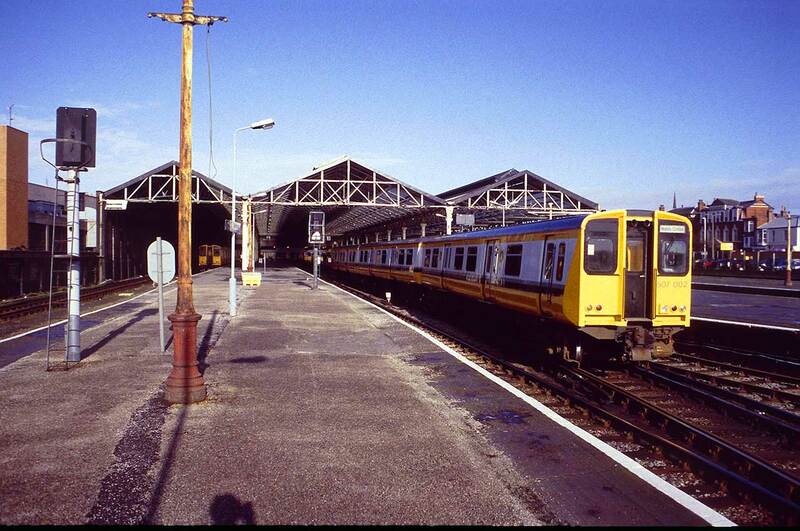 We now revisit Seaforth and Litherland Station some thirty six years after our first visit. Compare with Photo 1. 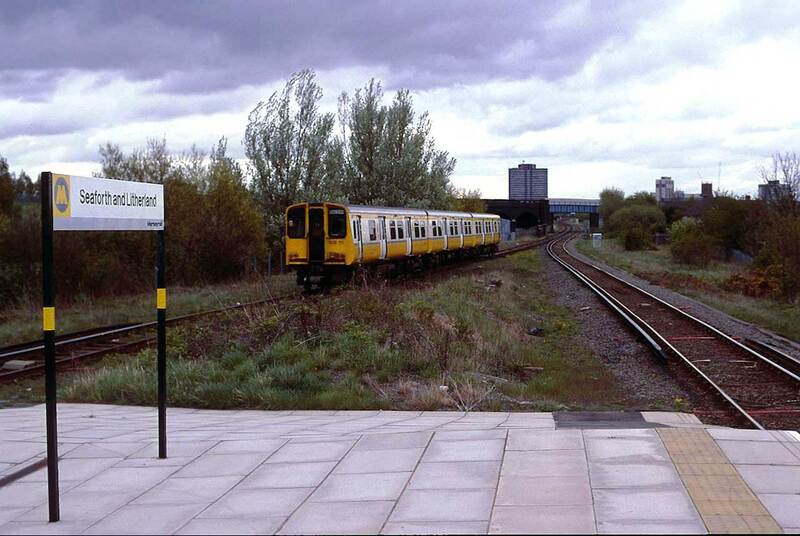 This is a Southport to Hunts Cross departing. May 2004. 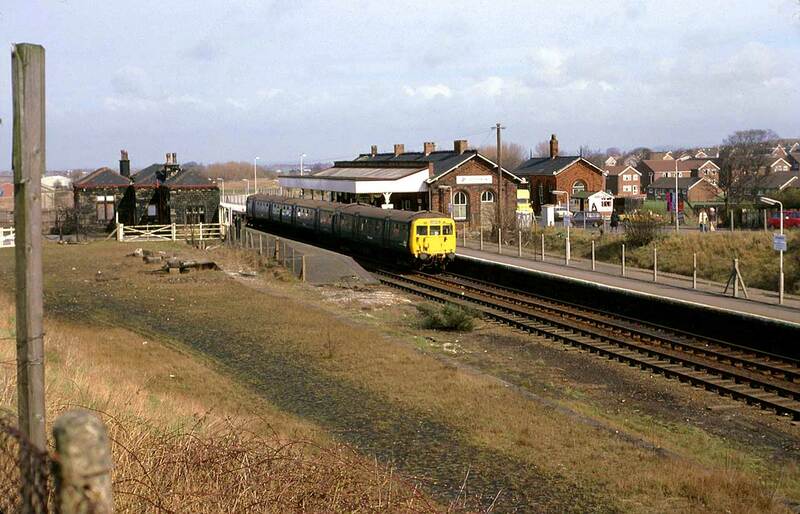 A Hunts Cross to Southport service approaches Seaforth and Litherland. Once again compare this view with Photo 2 taken some thirty six years previously. May 2004. Progress at Hall Road. To the left of the Southport bound train the maintenance shed has recently been demolished and the site is now in the process of being cleared. April 2009. A short walk from Chapel Street Station in Southport is Southport Pier. This scene in September 1966 shows the motive power at rest after a season of transporting visitors part of the way over the Irish Sea to the end of the pier, that is if the tide is in. 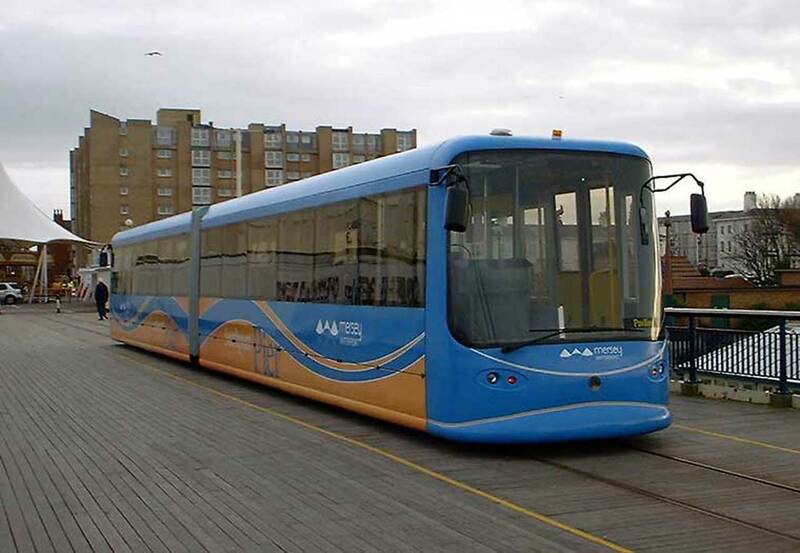 Until recently it was still possible to travel by rail to the end of Southport Pier but the motive power was a battery powered articulated vehicle. Why an articulated vehicle was required on a pier which is straight makes no sense. May 2008. 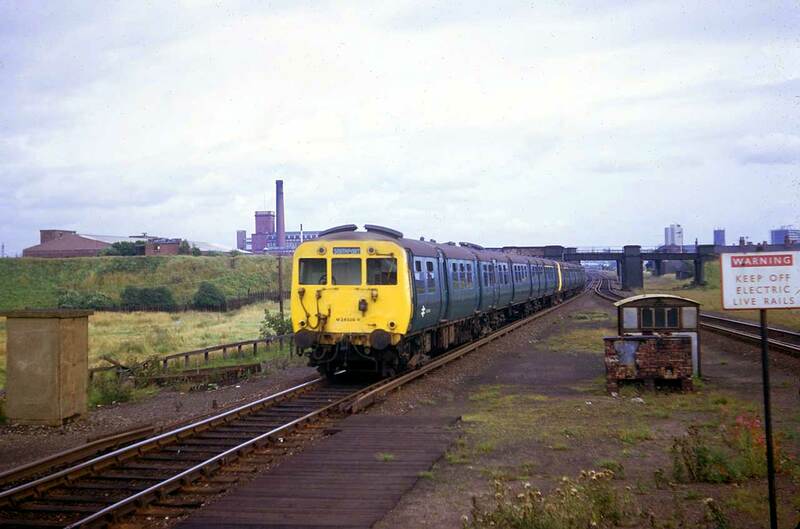 For more on British Railways DC electric trains on London Midland Region see the LMR DC Electrics page.